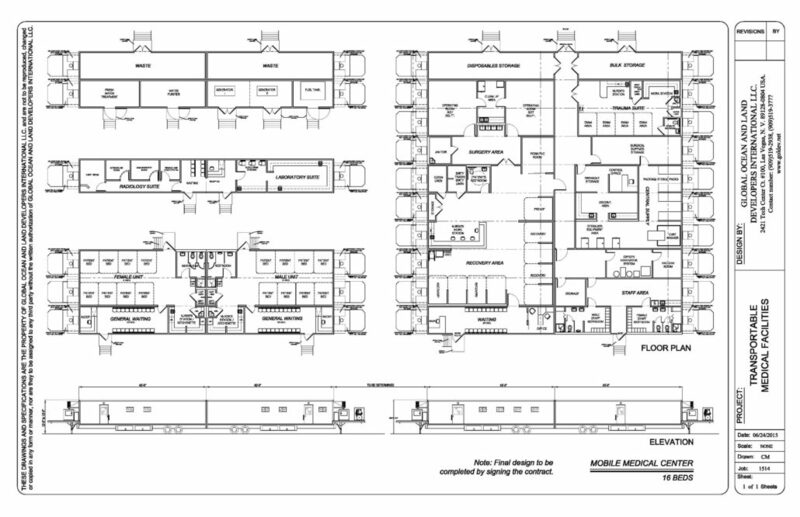 Utilizing modern technological advances in modular construction, GOLD creates custom design, highly specialized, self-sustaining surgical and medical centers. Whether a multi-discipline medical clinic, a 50 bed specialty hospital, or a disaster relief emergency clinic, GOLD offers solutions to our global need for reliable, quality healthcare facilities worldwide for a fraction of the cost of conventional construction. 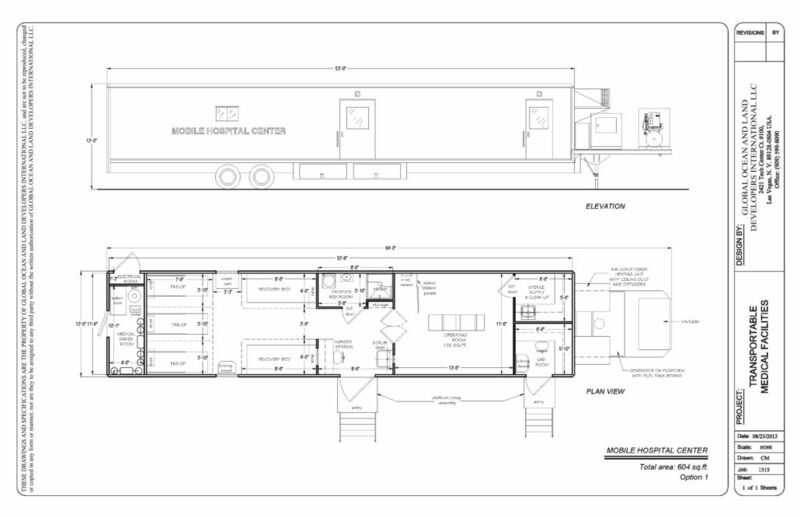 As with our Modular Medical Facilities, GOLD is able to assess and anticipate the needs of any medical situation. Our mobile hospitals are medically certified and designed for commercial duty and rapid deployment anywhere in the world. 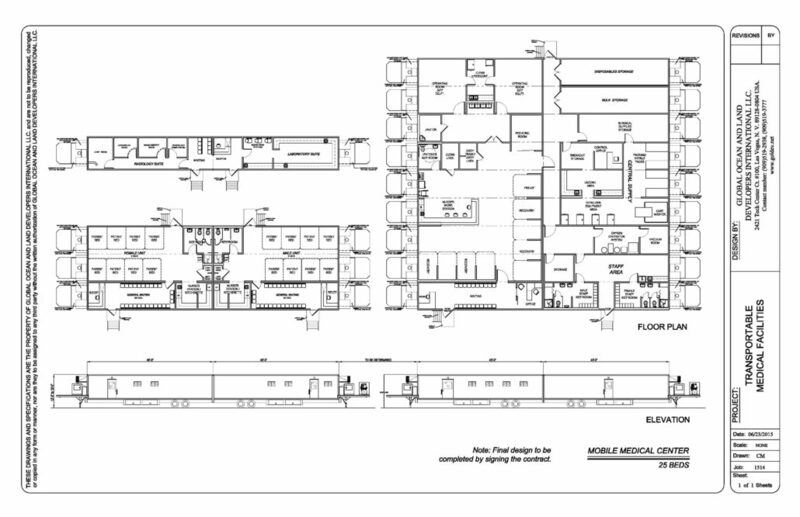 All facilities are expertly designed and engineered by industry specialists to provide the highest level of patient care, medical technology, and medical excellence. 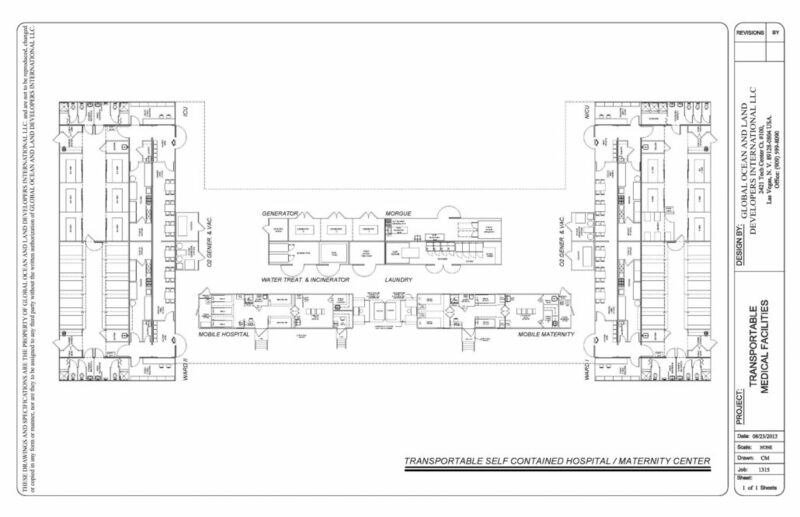 Our team can create medical hospitals and specialty clinics to rival any traditionally built facility, and our units can be self-contained with on-site energy and medical gas production, water processing modules, and integrated waste management systems, depending on your requirements. In emergency situations, our individual mobile units are able to be airlifted and assembled in as little as 48 hours. All units arrive fully equipped and stocked with medical supplies. Larger facilities can deployed and operational in as little as 4 weeks after delivery. Mobile Hospitals are designed to provide maximum flexibility, allowing future expansion and/or complete relocation in a matter of weeks.